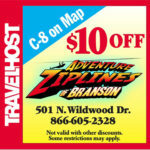 Show this coupon and save at Adventure Ziplines of Branson! Zipline In Branson Just Off The Strip! Its a “Full On,” adrenaline pumping, Zip Line experience and it’s just 3 Blocks from The Strip!” FLY through the tree tops at speeds nearing 50 MPH. 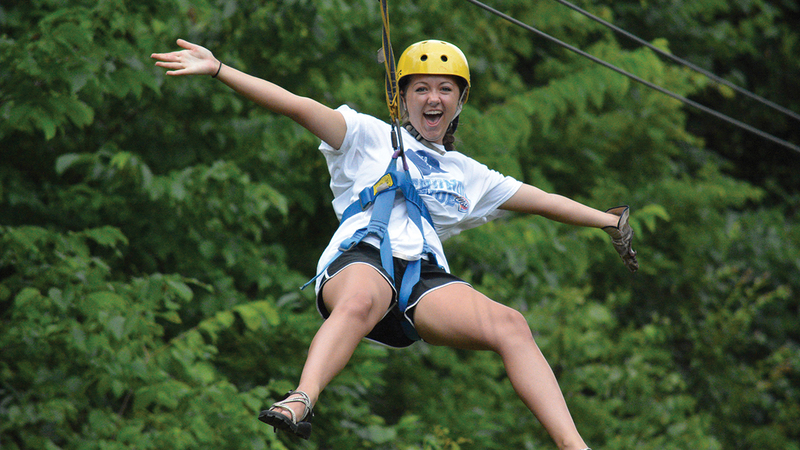 Your Tour includes 7 exhilarating zip lines; 3 adventurous rope bridges and an open Air off road ATV ride, all set in the Ozark Woods!